Another week, another cable? Yes and no. With the amount of cables passing the Mono & Stereo HQ's, sometimes it feels like living in braiding factory or salon of men's high-end audio cable jewellery. But, hey we're allowed to have our collection of wires from nobel materials right :)? Many times I've been asked repeatedly why in the heaven's name there are so much cable manufacturers and what's the need? And why I'm so nuts about them? 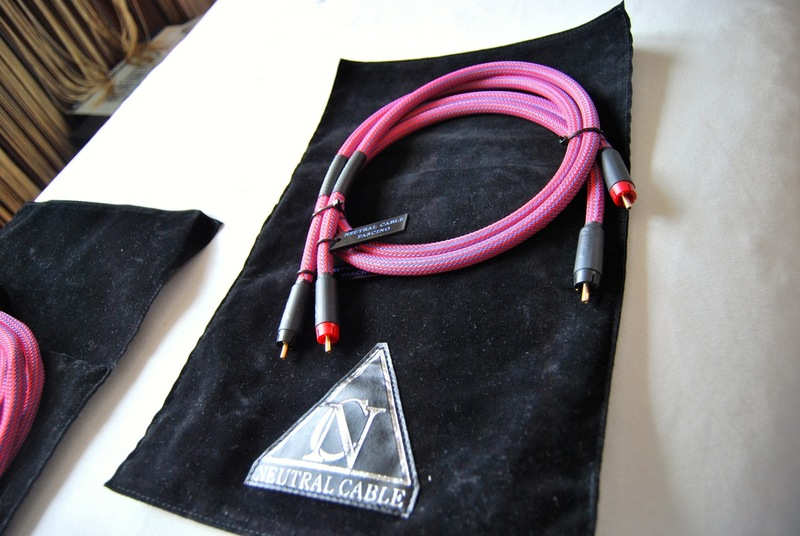 Audio cables are the veins of any high-end audio system. I've always seen them beyond the basic impedance matching role and need. They are a structural part that could create all the difference or hold back the see through nature of a sound they should represent. First of all I would like to thank Mono & Stereo and Mr. Matej Isak for the chance. I would like to explain briefly why Neutral Cable could be different from other cable brands. 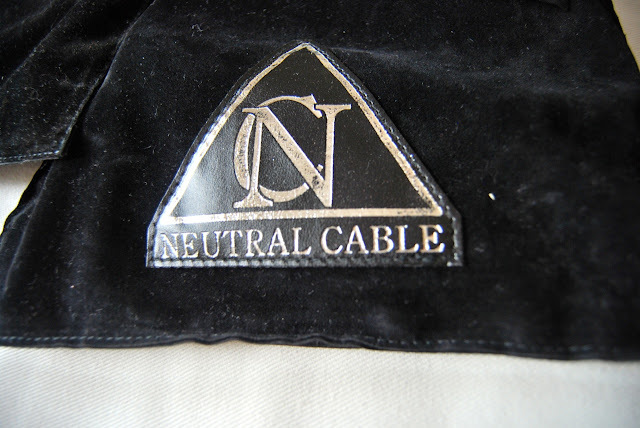 Neutral Cable products are all hand made using the best conductors available. The hand craft permit to go beyond the geometry and the materials imposed by the use of cables machine made. The cables are made with teflon insulated conductors because the dielectric quality has a great effect on the overall sound. Teflon has a very low dielectric constant and this permit to design cables with a neutral response, with no coloration on sound, detail and with great dynamic, transients and PRAT. Neutral Cable are made with different kinds of conductors: copper, silver plated copper, silver and hybrid combinations between them. Each metal has its sonic signature and Neutral Cable's aim is to provide the solution for every different system or listener taste. An other important issue of Neutral Cable products is the control and possibly the elimination of vibrations and resonances traveling along the conductors. But if we can say all Neutral Cable products sounds different depending on the line of cables or the model, there are also some permanent features. 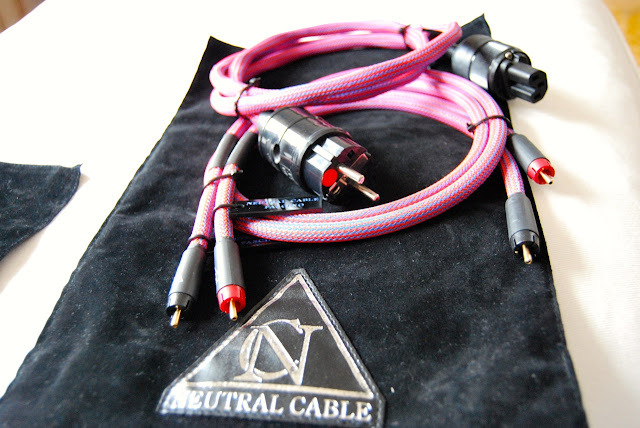 All Neutral Cable products exhibit timbre correctness, dynamic and musicality. Detail? Of course there is also detail, but this is well integrated in the musical message, in an holistic way, in an overall view, and not shouted or underlined like in some extremely analytical cables and hi fi gears (I call it false detail or the wrong side of transparence). This is the technical face of Neutral Cable, but there also the other side of the coin, the humanistic approach. I was a music lover since I was a child. I like to think that the cables I design are addressed to music lovers instead to people listening to the system and not to the music. When you listen music you must have emotions and forget you are listen to a system, only music and emotions. The reproduction of music must be evocation. I hope this could help Mono & Stereo readers to let know something more about Neutral Cable philosophy. Meet the Italian made distinctive cables. A Facebook friend asked me to review them and he really stressed how they're more then worthy of my attention and how they're at price point really beyond of what's expected. I've contacted the company and Fabio responded quickly. We arranged for the review and few days later package with test samples of Neutral Cable FASCINO RCA interconnect cables and FASCINO Power Cable arrived. This is the second line below Neutral Cable ABSOLUTE top of range cable line. Aesthetics are aesthetics, but this is the only cable that cough my wife attention and her comments. Sleeve colour and material was instantly positively embraced by her. Who says there is no WAF (wife acceptance factor) with high-end audio cables :)? FASCINO interconnects areTeflon insulated with the 7N UPC-OCC copper conductors, soldered with the Cardas quad eutectic solder (tin,lead,silver,copper) and terminated with Eichmann Bullet Plugs. The cable is directional, so its need to pay attention to the signal flow. The direction of the signal is marked from the top of the Neutral Cable triangle logo with the arrow like symbol. FASCINO Power Cable is designed from hybrid conductors, terminated with IEC Wattgate 320i and Schuko Bals. Each of the review cables brought out a specific attributes, that are worthy of extra elaboration. Neutral Cable FASCINO interconnects raison d'etre must be a harmonic richness and handling of complexity. Stefanovski/Tadić legendary album Krushevo is a remarkable recording. Not only for the amazing interplay between two guitars, mystic Macedonian folk song rendition, but also for the unique atmosphere of the Krushevo. Odd meter rhythms and archaic musical roots combined with Krushevo monument brings out a unique melahony feeling. Stefanovski used the Krushevo surrounding for a reason. He wanted to convey the energy of the place. A bit shorter delays, lesser room reverberation and the atmosphere of the timeless archaic place. If you like the style of John McLaughlin, Bill Frisell, Ry Cooder or Paco De Lucia then this duo will light your fire. I know this recording by heart and it quickly shows the cable motion capability of transferring the energy and the music. With this recording interconnect cable can either damp the liquidity and energy flow, leave it untouched or elevate it beyond its natural dark character. If you ever visit the Macedonia or meet the people, your heart must be of stone if you've left untouched. The sorrow and happiness correlate with the invisible touch of mystical dome across whole country. This can be also felt in their music and when system is set in right way those emotions evoke. Neutral Cable FASCINO interconnects managed to convey those emotions with great pace and sublimely. With trying to sum up the most prominent character of Neutral Cable FASCINO Power Cable the dynamic impact is for sure most prominent. Along the neutrality and possession of atmospheric richness that prolongs with the blackness and the clear shift of three dimensionality to the level, that speaks for itself. FASCINO moves with music. Power cable can act as a filter or a transparent medium for power coming from the main outlet. I've test enough power cables to being daring enough to say, that quite few high-end power cables are better never to be named or used as such. Many of those were beaten by the cheap power cables that cost under 1 EUR! Yes, some of so called "high-end" cables kills down the music and dynamic flow to such extend, that is unbearable. No worries about Neutral Cable. Fabio did the the work in right way. When you use better and more complete speakers one of the attributes of quality performance is the natural decay. With entry line or non performing speakers, you'll quickly miss the natural sense of space consequently made by the decays of acoustical instruments. This is mostly avid with live, unamplified recordings of live instruments and vocals. Even most of monitor speakers fail to correctly portrait this with music being played. Moving into upper echelon of speakers reveals this without too much efforts. Along many things, this is what helps music coming to life. I've used FASCINO interconnects for quite some time as the main RCA cable coming into THRAX DIONYSOS preamplifier and they performed the role ambitiously. Neutral Cable FASCINO RCA interconnect cables and Power Cable stayed true to the company name. 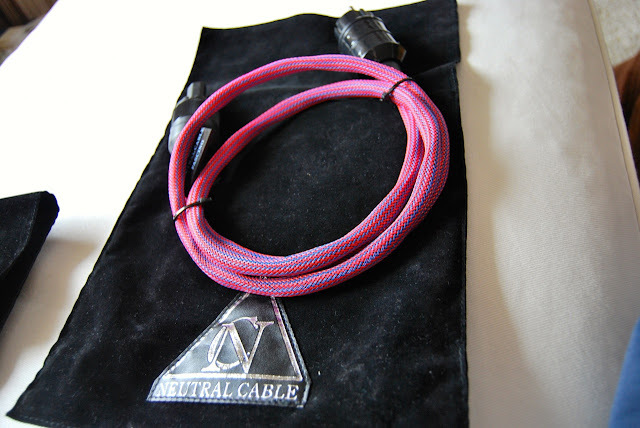 Their neutrality and lifelike performance, puts them into a handful of cables with the "down to earth" pricing. Their ability to convey the music is passionate and they're energetically packed with the great flavour of high-end cables from the upper echelon. Neutral Cable proves again, that times have changed and for good. With some great tips and market research, you can spend a really "budget" money in getting the performance we were accustom to few years back. Technology and know how moved beyond garage operation with cable industry offering some impressive conductors and basic materials to build upon. So, great times for both small high end audio companies and the end users. The resulting performance show how witty the materials and know are applied. 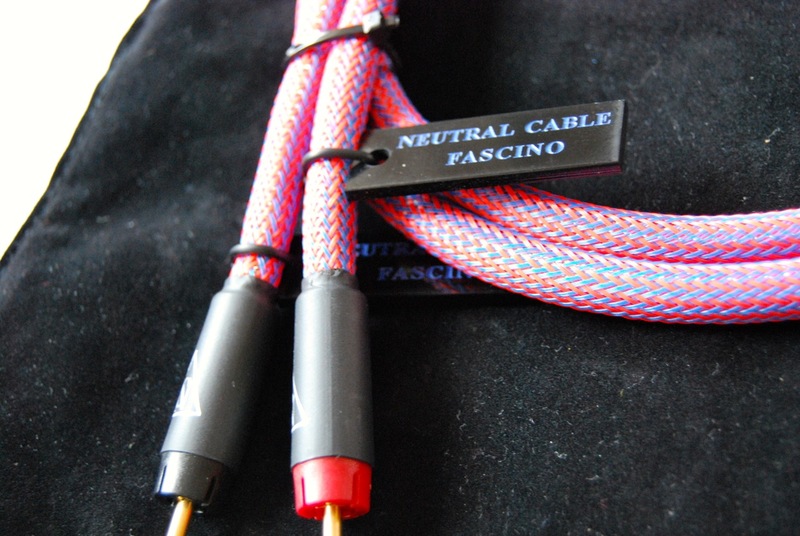 Neutral Cable seems to found a great synergy in creating the FASCINO cable line. The level of resolution, neutrality, natural calmness and potency to bring music alive is more then worthy of praise. I really wonder what Neutral Cable ABSOLUTE cables at more then two times of price can brin in terms of performance as FASCINO already creates the remarkable atmosphere with the great rendition of three dimensionality, harmonic richness and great pace that moves the of music freely.